The CM Helpline has been the first of its kind of the initiatives in the country having an integrated citizen facilitation service to enable lives of the people in Madhya Pradesh. This is envisioned as a bridge connecting citizens to the state. It is a historic and commendable step by the Government of Madhya Pradesh to protect citizens' rights and their participation in the civil administration. The State Agency for Public Services (SAPS) under Public Service Management (PSM) Department, Government of Madhya Pradesh (GoMP) made it operational since July 2014. The services of CM Helpline can be availed through a three-digit toll-free number “181“, mobile application, web application and by visiting to any district or state offices in the state. 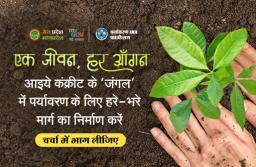 In view of good governance and citizen engagement, the main purpose of establishing the CM Helpline is to provide a single integrated platform to the citizens of Madhya Pradesh to address their issues and concerns regarding government schemes and services. This helpline does not only solve public issues and problems, but also reduces unnecessary delays in the work. 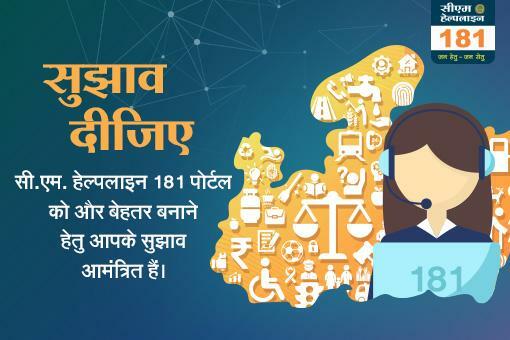 State Agency for Public Services (SAPS), Madhya Pradesh invites all the citizens of the state to suggest ways to improve the existing services under CM Helpline 181 portal. You can also suggest additional facilities that according to you must be added to this system. 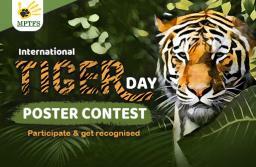 Your views will help us make a difference! © Content owned, updated and maintained by the Madhya Pradesh MyGov Cell. MyGov platform is designed, developed and hosted by National Informatics Centre, Ministry of Electronics & Information Technology, Government of India.